Stigma surrounds the use of telemedicine and modern technology, such as video therapy, to provide psychological therapy treatment. Even practitioners can allow their own preconceptions to influence their beliefs surrounding the effectiveness of therapy online. However, research since the 1980s demonstrates that video, or “distance”, therapy is as effective as therapy which takes place in the same room. A meta-analysis of 92 studies found that the difference between Internet-based therapy and face-to-face therapy were not statistically significant (Barak et al., 2008). Fischer et al. (2006) examined videoconferencing-based cognitive-behavioural therapy. In their study, participants reported that they quickly accommodated to the videoconferencing environment and felt that they were “in the room” with the therapist. It was also concluded in a number of studies that videoconferencing yielded robust, empathic, therapeutic relationship (e.g., Barak et al., 2008; Fischer et al., 2006; Simpson, 2001). Interestingly, in an anonymous survey to 55 patients attending the Nepean Anxiety Disorders Clinic in Australia it was found that online therapy was preferred over face-to-face group therapy and bibliotherapy (Berle et al., 2014). 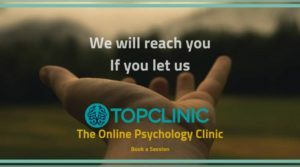 While Psychological consultation and therapy online is effective, it does have some differences. This includes your responsibility to ensure your safety and confidentiality from your end. This includes reflecting on who has access to your device and network, ensuring no one is within ear-shot during a consultation, and making sure you body is safe and ready for you to do your work with the support of your practitioner. If you cannot ensure your safety and confidentiality, therapy online might not be the best fit for you. If you can ensure your safety and confidentiality from your own space and you prefer utilizing telemedicine technology, please get in touch.